Can you have a thriving business without sacrificing your family life? Are you struggling to run your copywriting business around your family? Do you worry about too much screen time… or (gasp) future therapy bills because you’re meeting deadlines rather than taking your kids to the park? It’s easy to trowel guilt on ourselves when we see copywriters running 6 or 7 figure businesses. Or landing 5 figure projects. What are we doing with our lives? Are we ruining our children trying to grow our copywriting businesses? Are we just THE WORST? We’re going to stop you right there. We are copywriters. We are parents. We are business owners. This episode shares our thoughts on making it all work. Stay tuned to feel a lot more awesome about your life as a copywriter. Shout out to Alicia Littel for inspiring this episode! 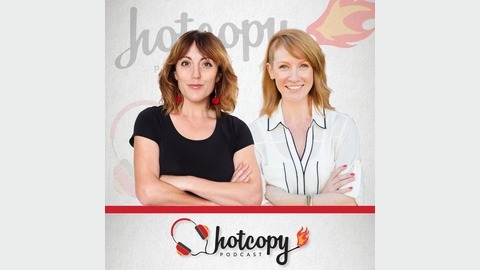 If you like what you’re hearing on Hot Copy, support the show by leaving us a rating and review on iTunes or Stitcher. We’ll read your name and review out on the show and send you lots of virtual love. Huge props to Andrew Bracey for listening and leaving a super review. What’s your big AHA moment from this pod? Do you feel the feels we talked about? Let us know on our Facebook page or on Twitter. The post E98: Is copywriting making you a bad parent? 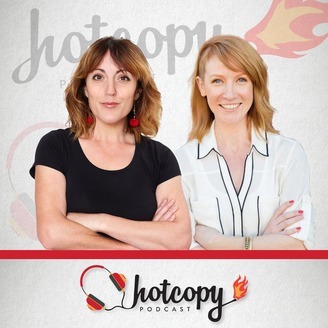 appeared first on A copywriting podcast for copywriters.